Fleurop gift cards in credit card format are available at all partner shops in Switzerland and through our webshop, and are valid for two years. 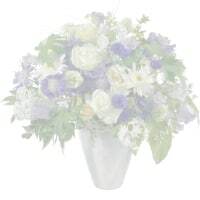 Whether for 10 or 1,000 recipients, the Fleurop Flower Mailing Service is the most personal way to thank your customers, business partners and staff. The Flower Subscription Service for companies: a weekly delivery of fresh flowers to your reception desk! Register now as a corporate client and profit from quick and easy ordering through our business portal, plus a 5% discount on the flower value from your very first order. 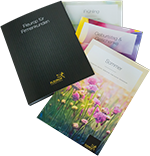 The ultimate selection guide: our brochures are an inspiring source of creative customer and staff gifts.